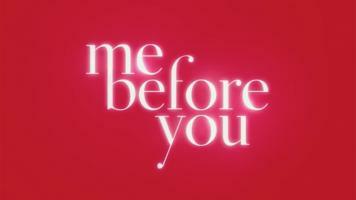 ''Me before you'' Book or movie? I, as every other single person in this world, was and still am addicted to the international phenomenon ''Me before you'' As a huge fan I , of course, also watched the movie. And today I would love to share my opinion how I liked the book and the movie. As you may guess or if you follow me on Twitter then you know it for sure, that I enjoyed more the book....and now let me explain why! The main reason why I always think that books are way better than movies is that in books, I feel closer to the main characters. While reading, you get into the main characters head and you kind of feel everything they are feeling, while in the movie you can just see the body language and their face which doesn't explain a lot if you have no idea what's going on, at least that's how I sometimes feel while watching a movie. Of course, I can't deny the fact that I was staring at Sam Claflin's smile most of the movie and at the very end I was crying, but still, I feel like a lot of important things which were mentioned in the book weren't in the movie. So that's what I think about this. As you can guess, I really love this and I can't wait to read the second part of this book. If you haven't read or seen this then go now and do it. You won't regret it. There's a second part of the book? I heard a lot about this movie but haven't gotten around to seeing it or reading the book. I honestly feel like the movies rarely do justice to the books that they are based on. The books always provide so much backstory and details that the movies rarely decide to include. It's such a shame!